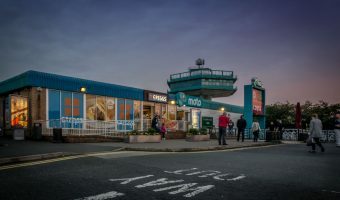 This service station is situated at Junction 4 of the M65, the motorway linking Preston to Colne. 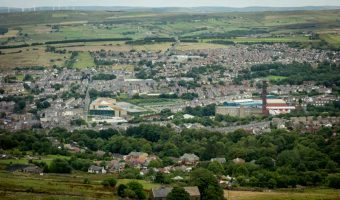 It is located approximately two and a half miles from Blackburn town centre and one and a half miles from Darwen town centre. 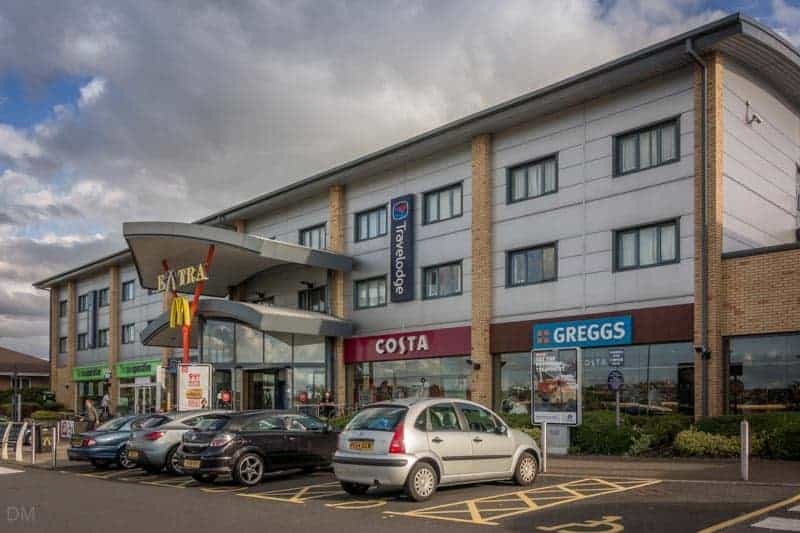 Facilities at the time of writing (September 2015) include a Travelodge hotel, a Co-operative food store, Greggs bakery, Costa coffee shop, a McDonald’s restaurant, Chopstix noodle bar, Quicksilver arcade, and public toilets. The Shell filling station here offers a café and convenience store. Blackburn with Darwen Services is situated on Commercial Road in Darwen (postcode BB3 0DB). In addition to serving the M65 motorway, the services are also convenient for drivers travelling on the A666 (the road between Blackburn and Bolton). Ewood Park, the stadium of Blackburn Rovers FC, is just one mile from the services. Map showing location of Blackburn With Darwen Services. Motorway service station near Junction 33 of the M6 motorway. Known for its iconic hexagonal tower.